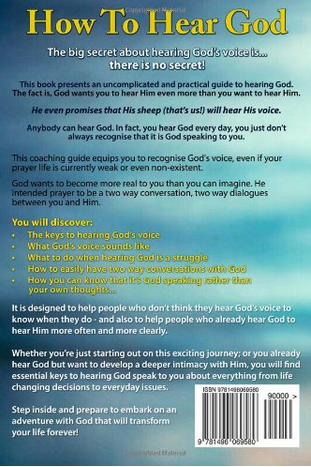 Ready For A Closer Walk With God? If you really want a closer walk with God you’ll probably need to be prepared to change some of your priorities. So, I am laying aside many of the things that have kept me busy and going back to giving the Lord first place in my life. I hope that you’ll join me. God doesn’t want you to do more for Him, He wants you to spend more time with Him. Your heavenly Father wants you to choose to be with Him more of the time. He longs for you to choose to spend more of your day with Him and be more aware of His presence in and around you. I strongly encourage you to become closely connected then stay closely connected. Remember, without God you can do nothing of any lasting value. If you want to grow in God, then you can no longer settle for giving Him second or third or fourth place. Make friendship with God your first priority. Are you ready to give God FIRST place in your life? What will you start to do differently to make sure that God gets His rightful place? I’m going back to spending the first part of the day with God. For me, that means meditating on His word, writing down what I hear Him say, and acting on what I hear. P.S. 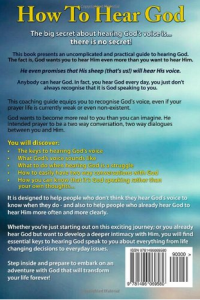 This blog is for people who are serious about developing a closer walk with God – you will find resources, inspiration, encouragement and practical help to become more aware of God’s presence and discover how to hear God through the many different ways He speaks to you.